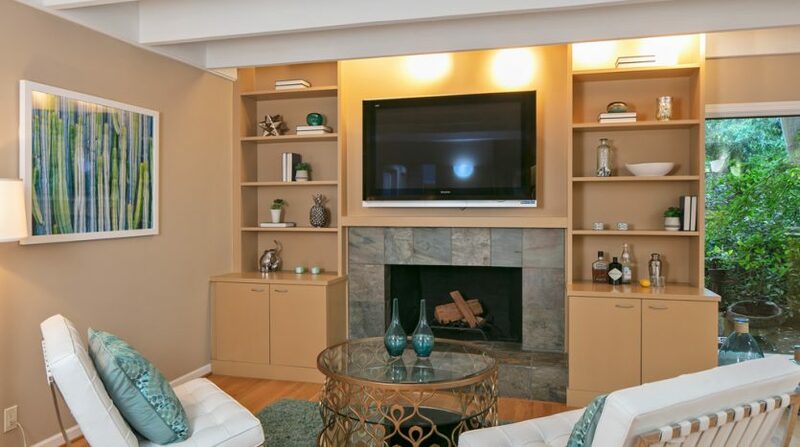 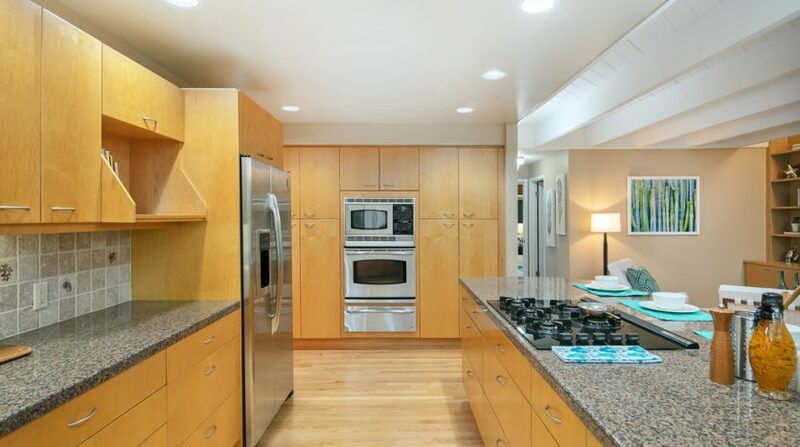 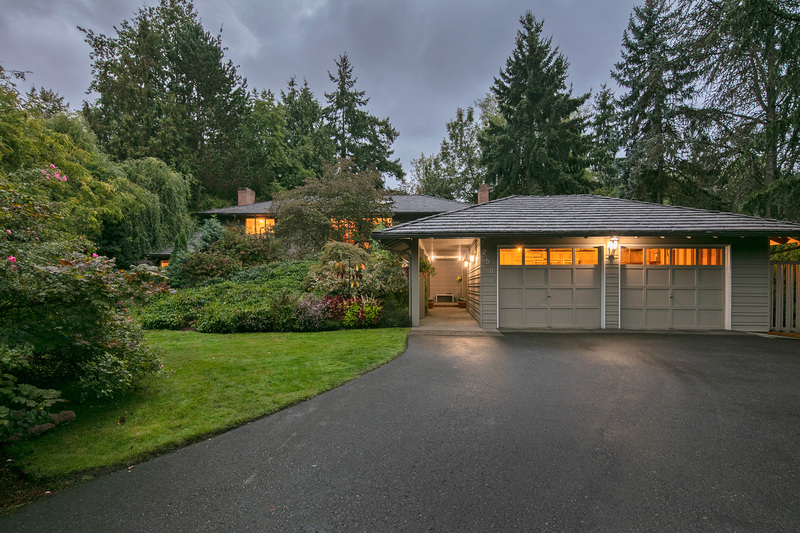 This remarkable property sits in a private enclave of homes in highly desirable Medina. 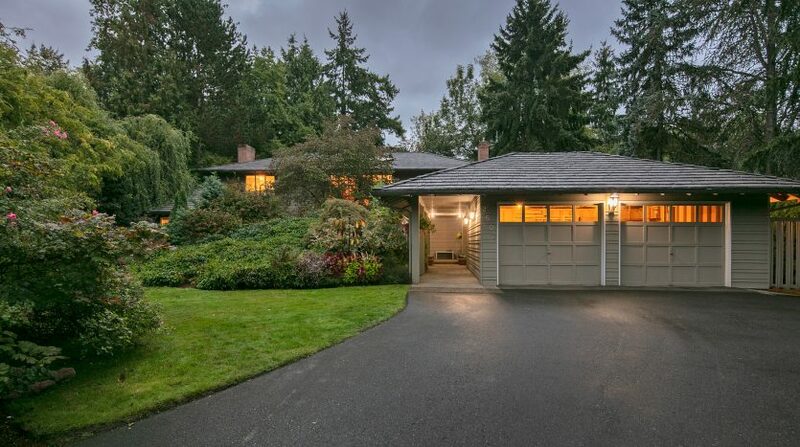 A small, quiet and very exclusive community with award-winning schools, Medina is one of Western Washington’s most enviable places to reside. 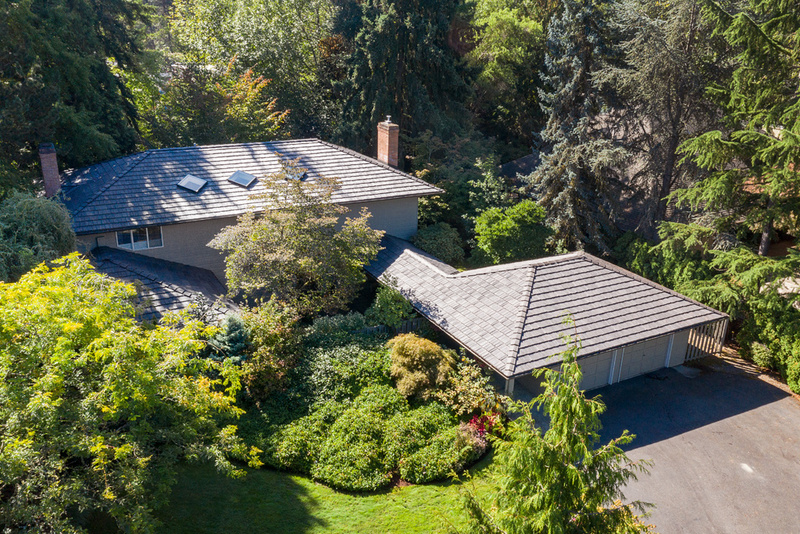 On an ideal lot, this home is sited on the south side of Medina Circle abutting the tranquil Wells Medina Nursery. 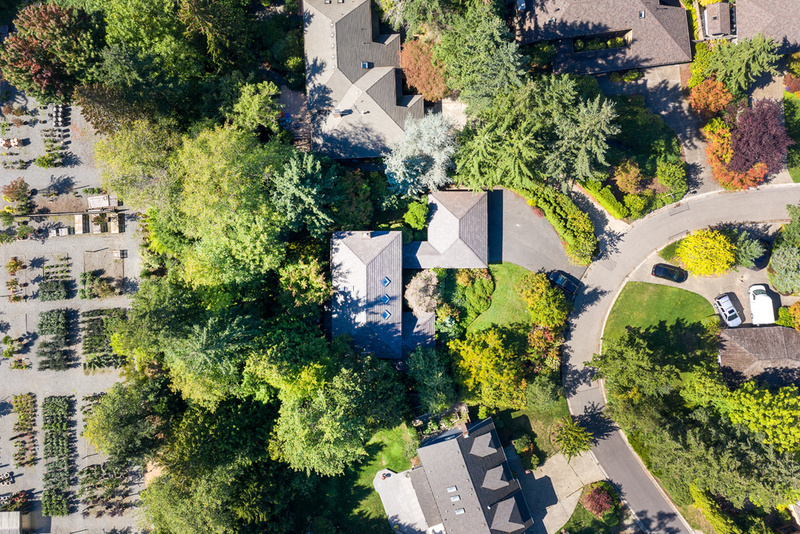 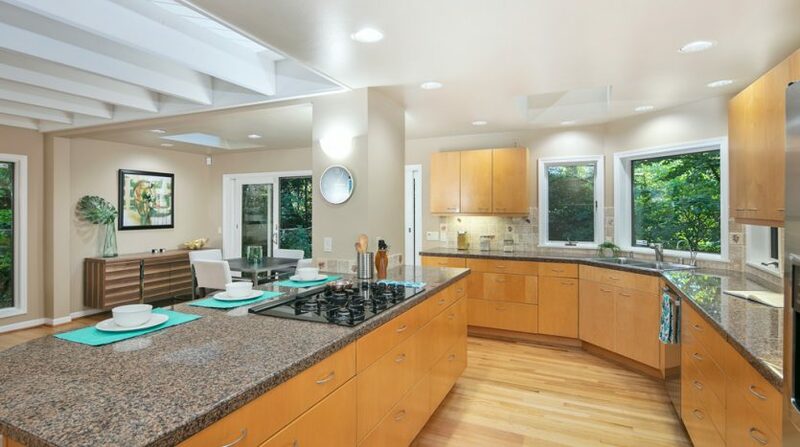 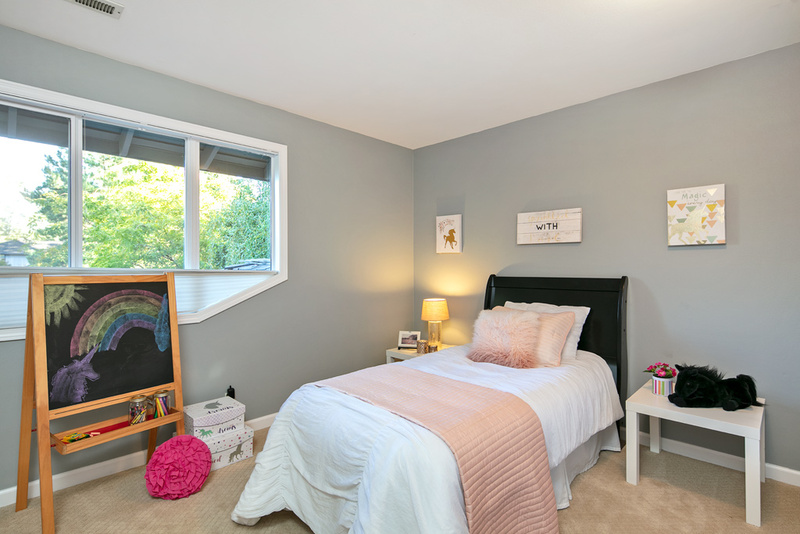 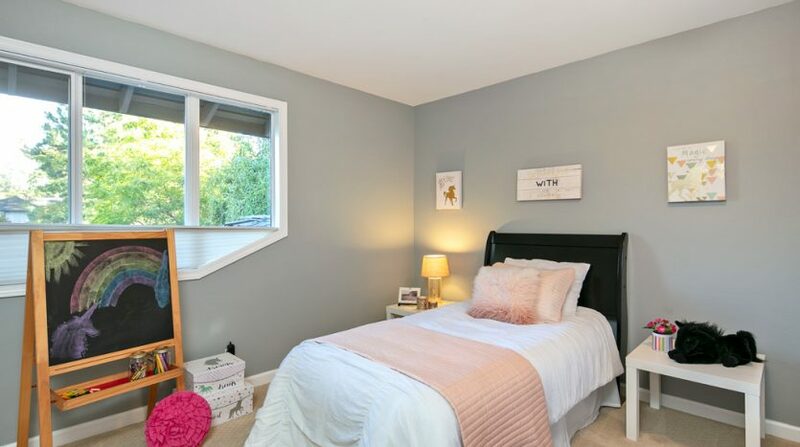 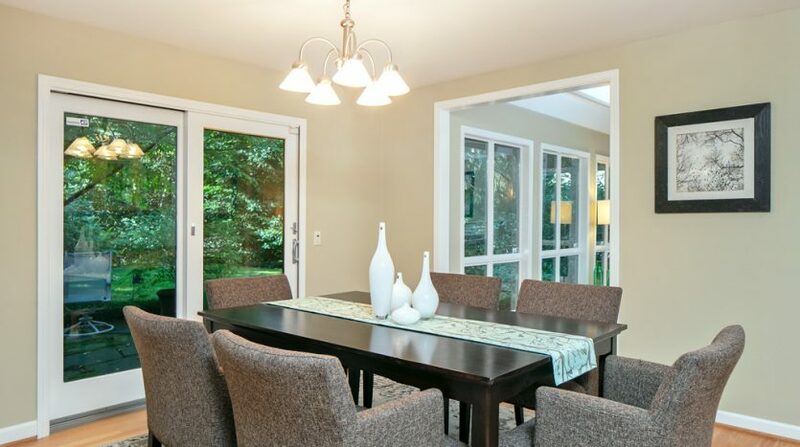 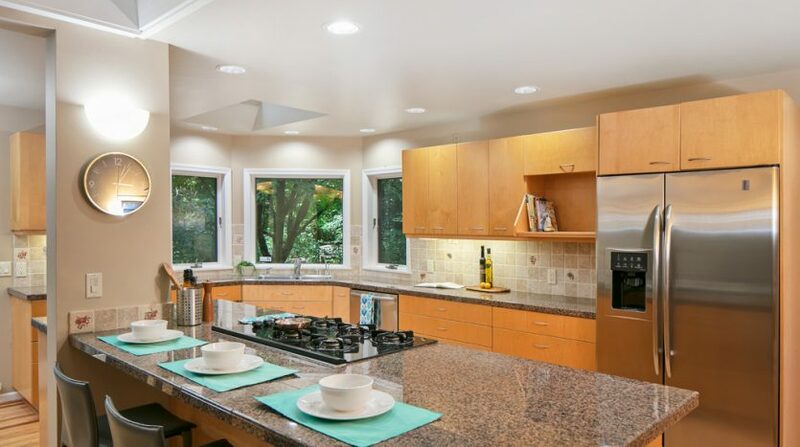 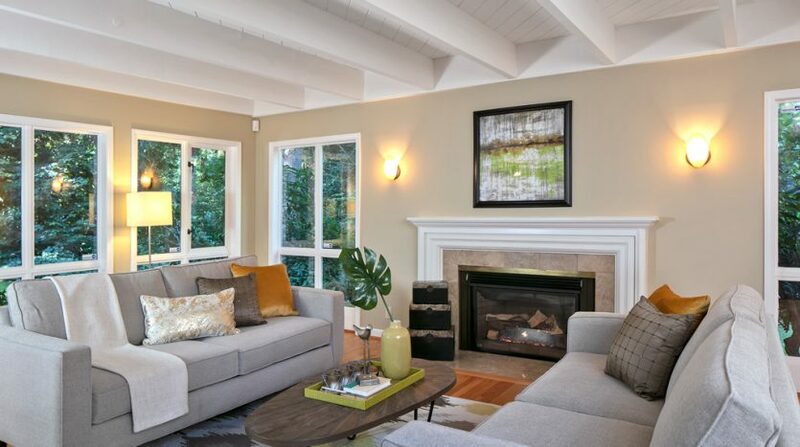 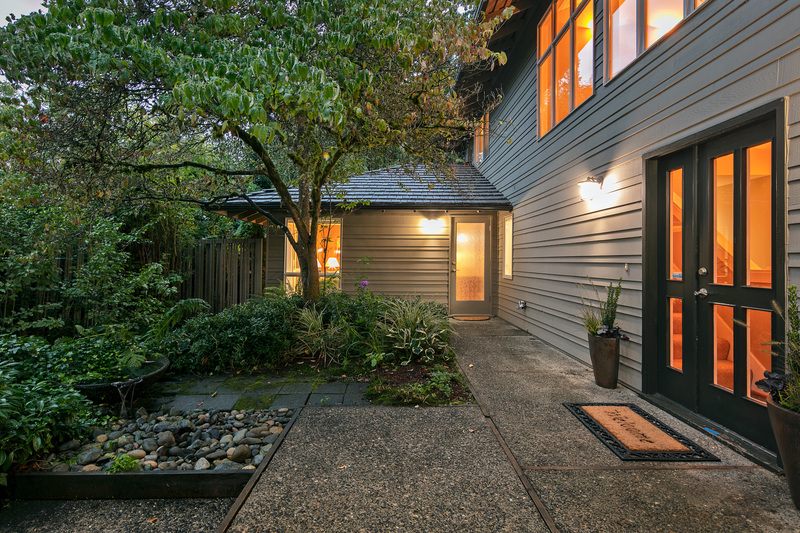 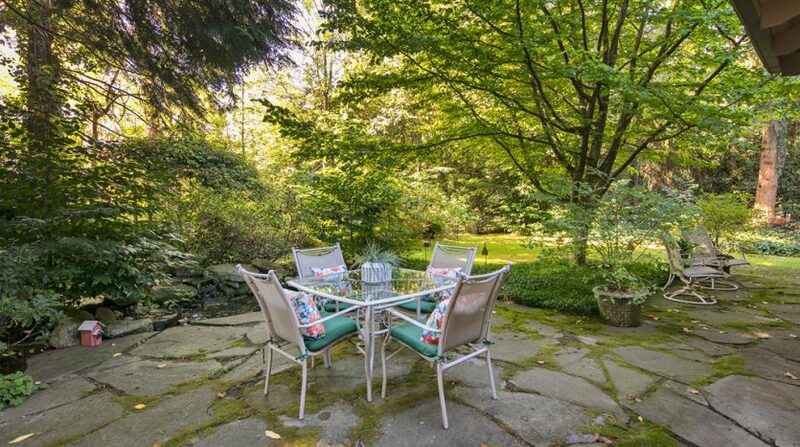 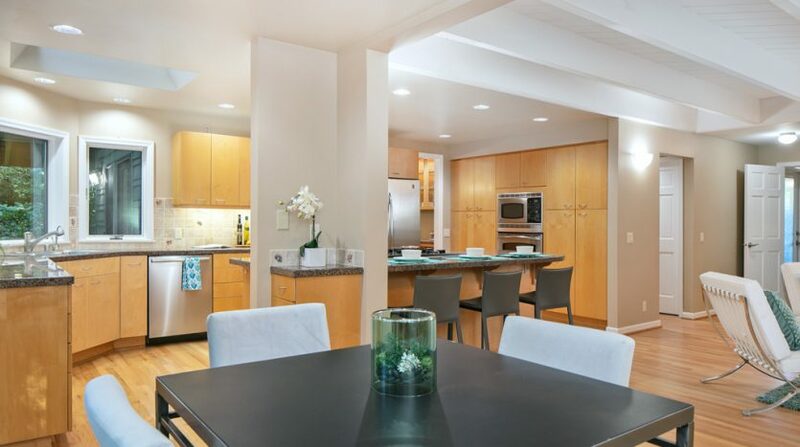 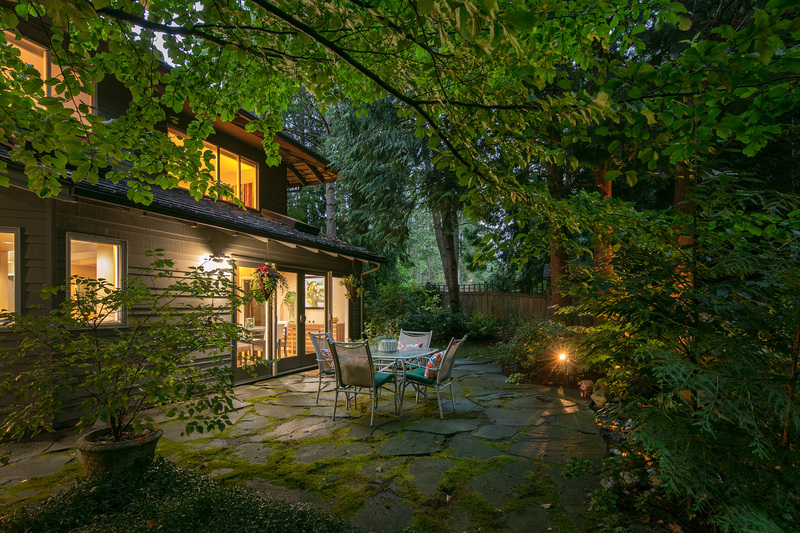 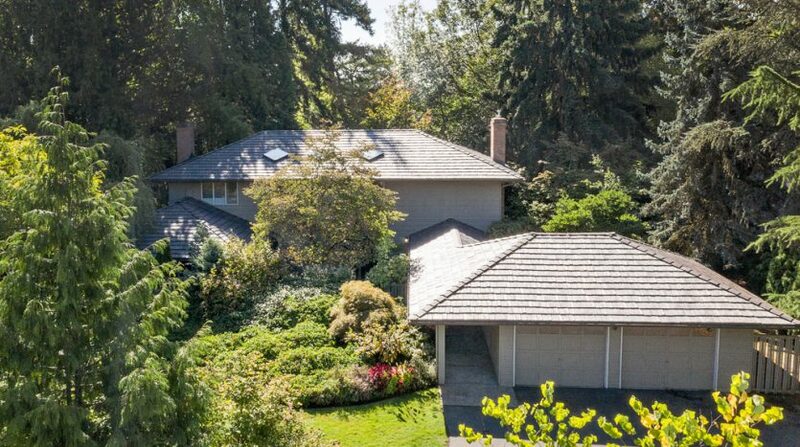 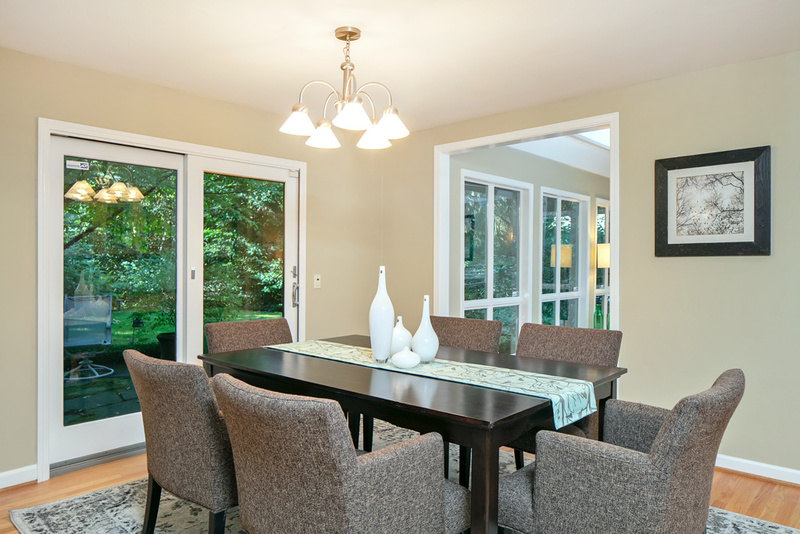 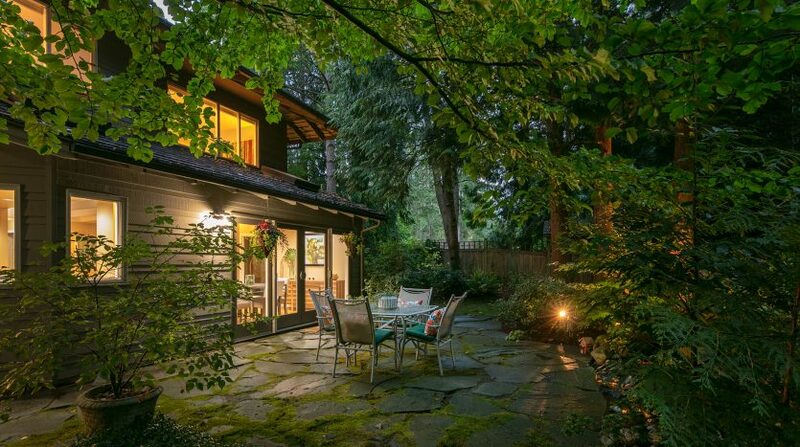 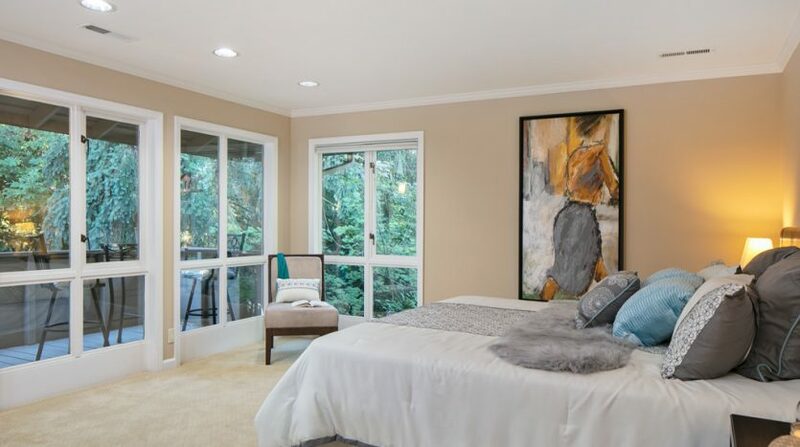 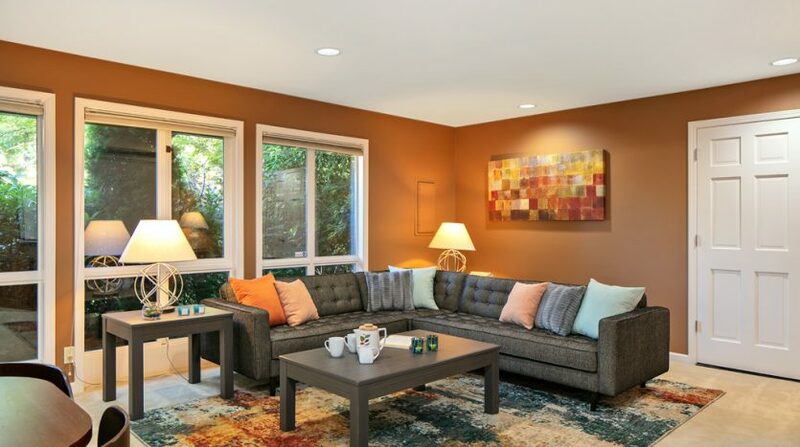 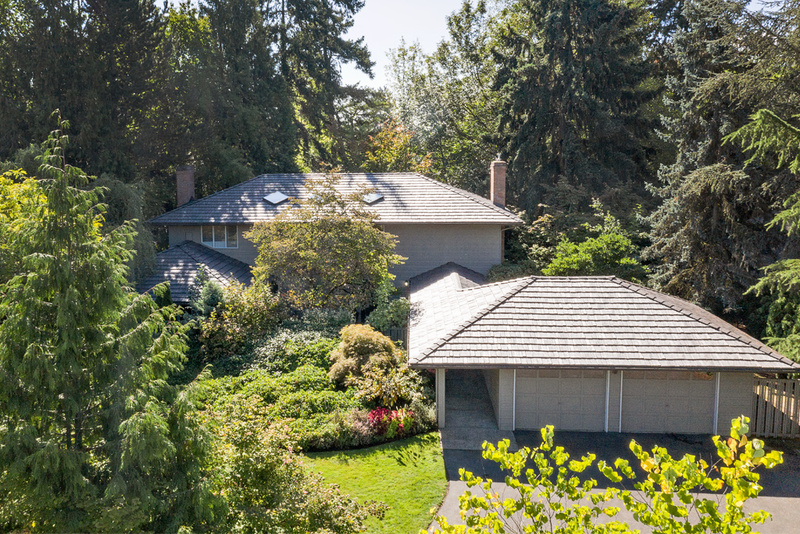 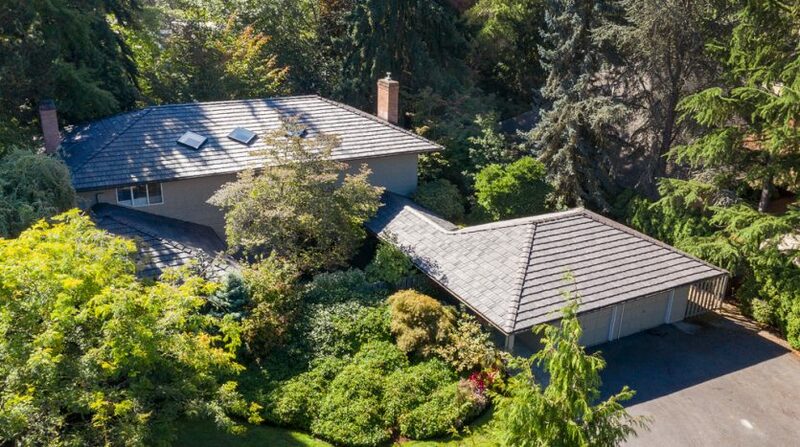 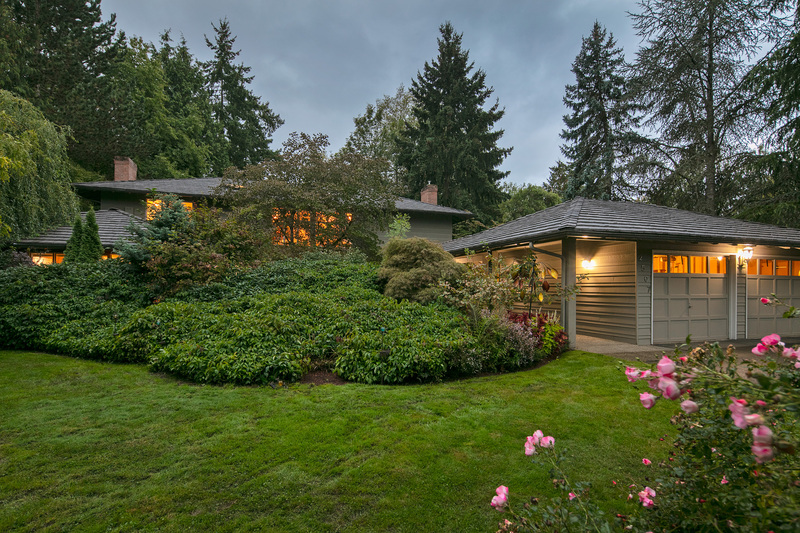 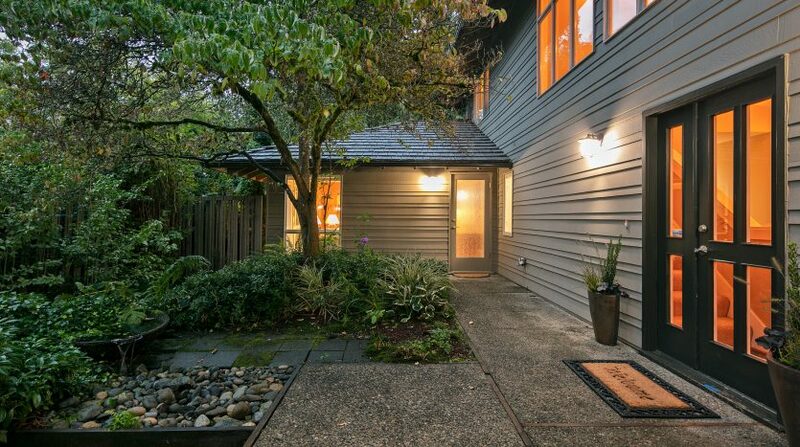 Surrounded entirely with lush mature landscaping you will feel like you are miles away from everything in this sanctuary, while you actually have immediate access to Bellevue, Kirkland and Seattle. 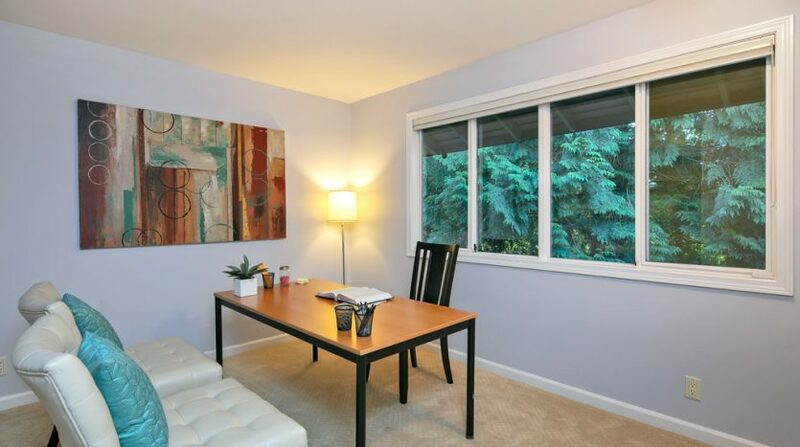 Blocks away you will also find Medina Park, with an off-leash dog area, playground, tennis court and ponds, as well as Overlake Golf and Country Club. 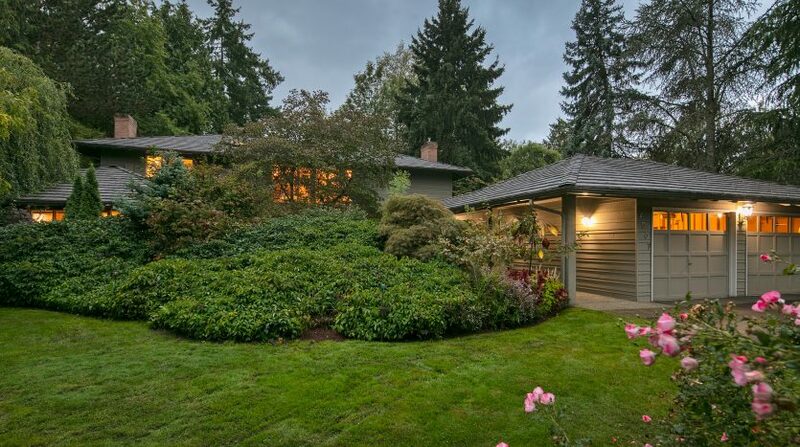 This home has an incredible combination of privacy and proximity. 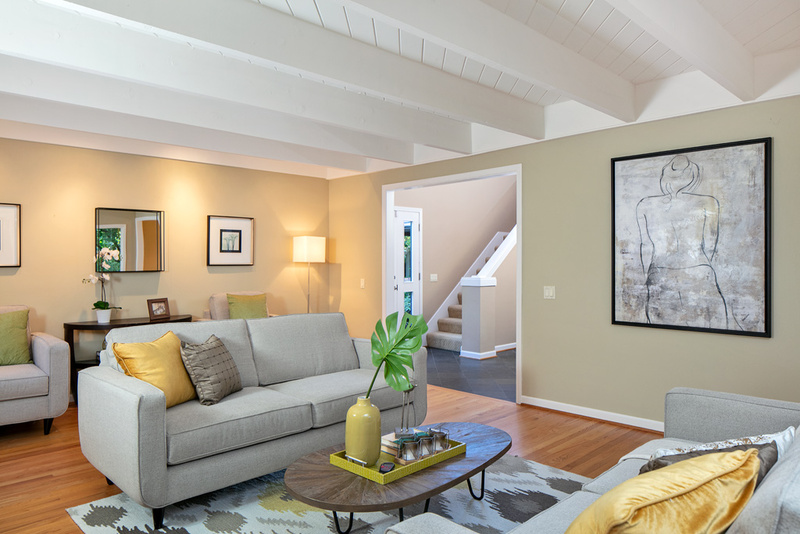 Once inside this traditional two-story home, you will find spaces dedicated for both entertaining and relaxing. 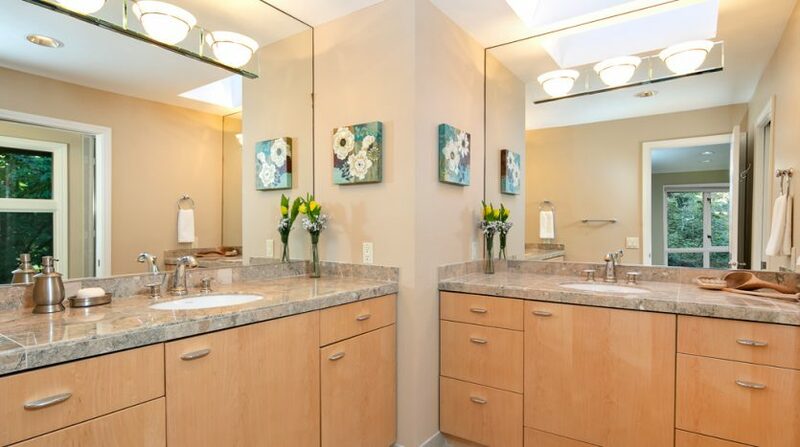 Entering in through the beautifully landscaped courtyard entrance, you will find yourself in a convenient foyer. 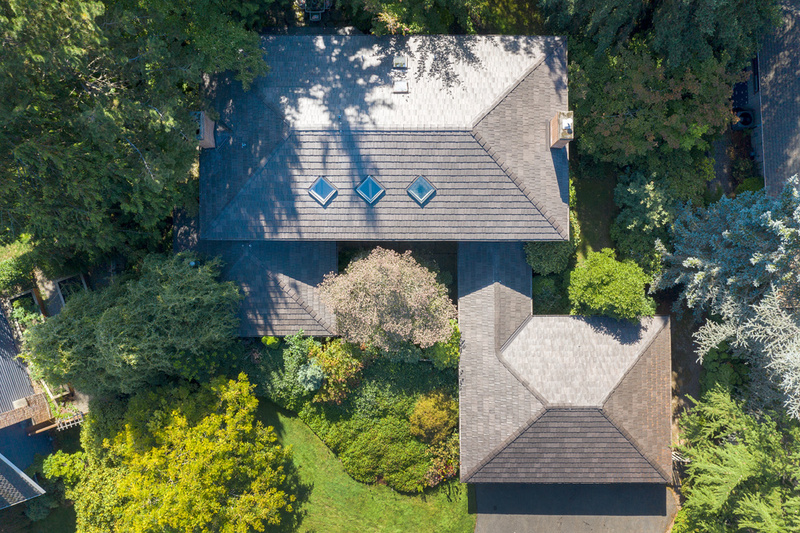 Flow into the formal entertaining spaces of the home, the large formal living room, with a gas fireplace, wood slated ceiling and floor to ceiling corner windows looking out over the gardens, and the spacious dining space. 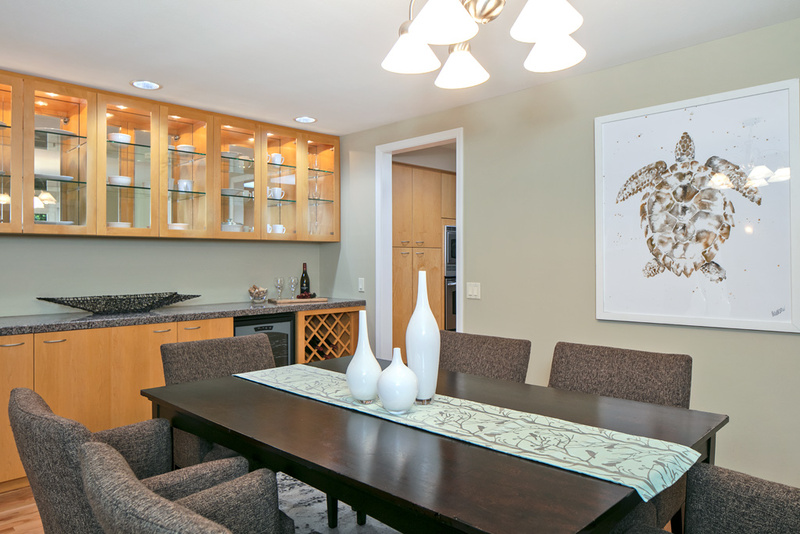 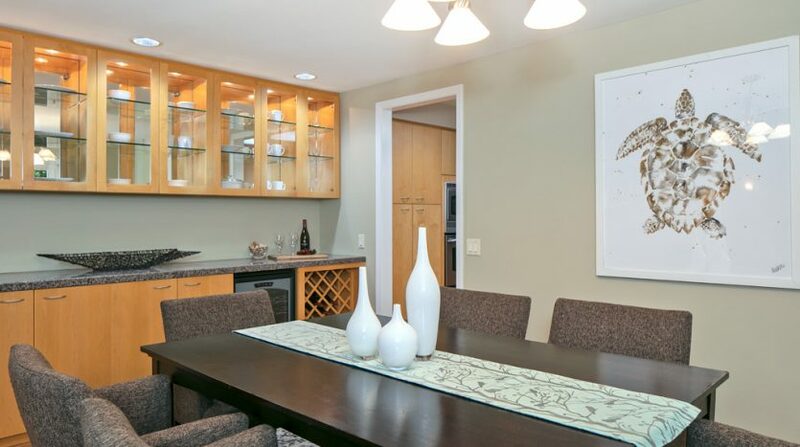 The buffet in the dining room boasts wine storage, a wine refrigerator, built-in storage and counter space for displaying food and beverages for your guests. 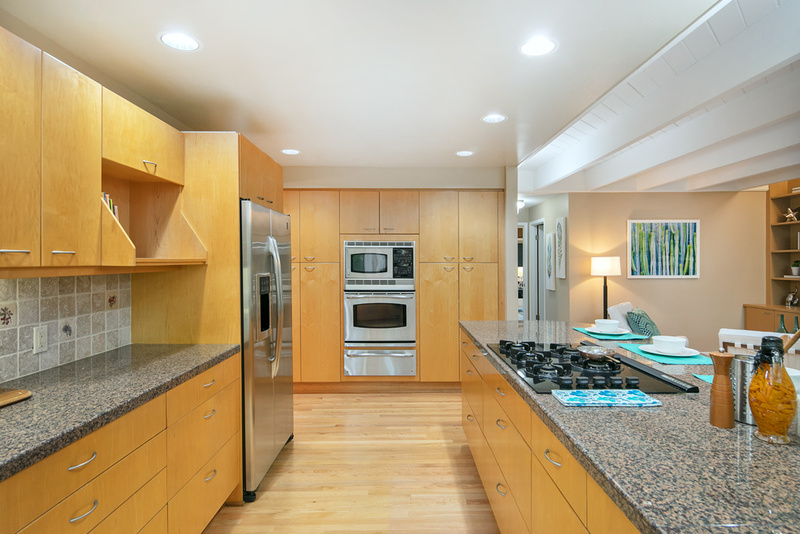 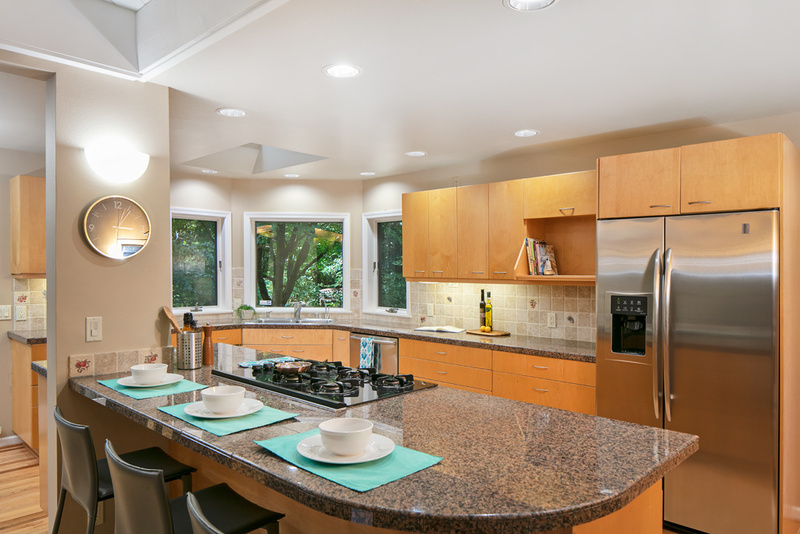 Continue through to the kitchen with modern upgrades of granite, under cabinet lighting, island with eating bar, gas cooking, stainless appliances, wall of ovens and two pantries. 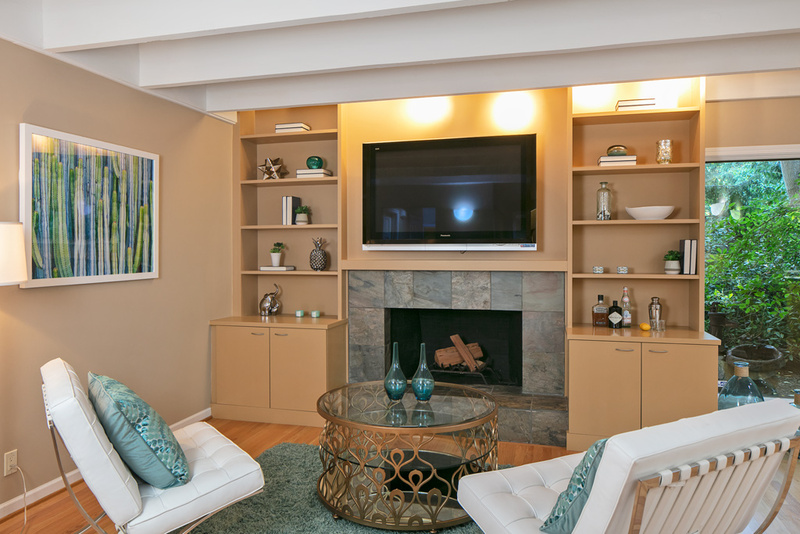 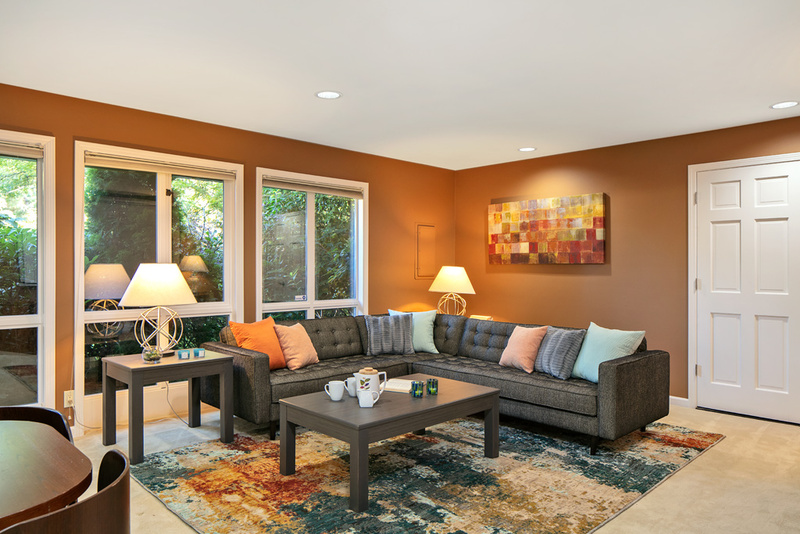 The family room and informal dining are off the kitchen and this layout makes this area perfect for your everyday lounging. 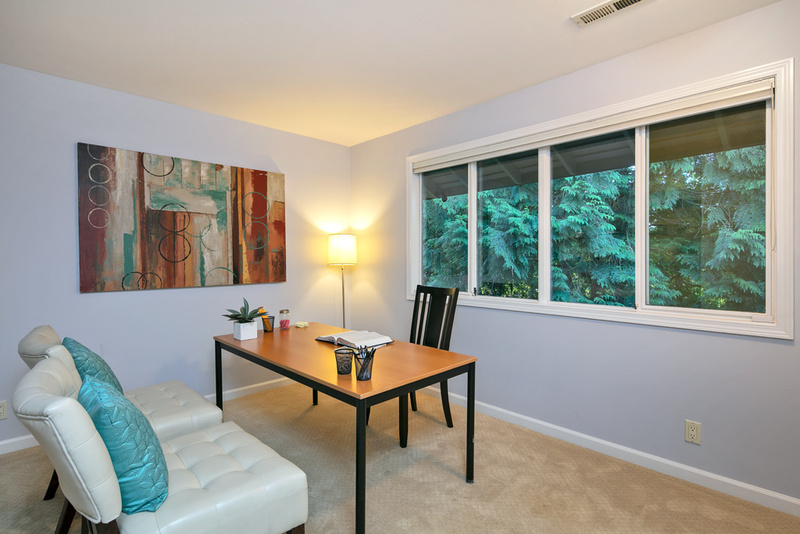 The recreation room on this level is a bonus space to use for whatever suits your needs most, whether it be a media room, hobby room, playroom, office space or a combination, it is a convenient bonus space to have. 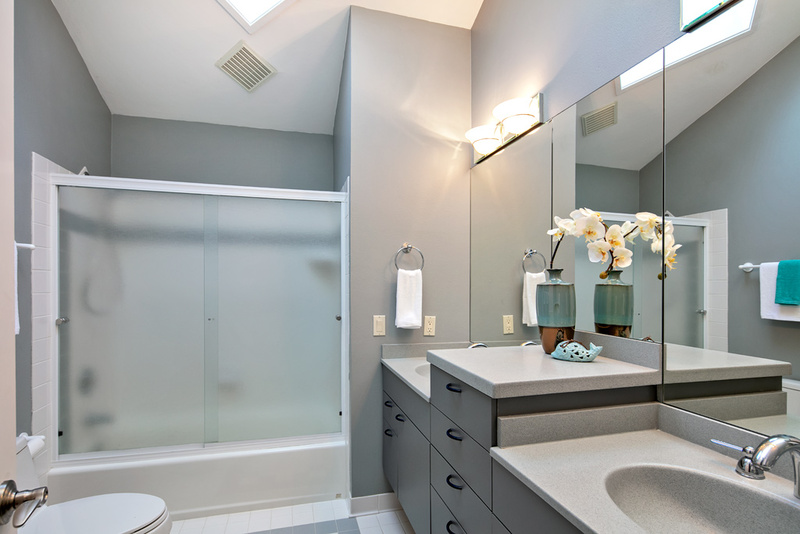 A powder room and utility room round out this level. 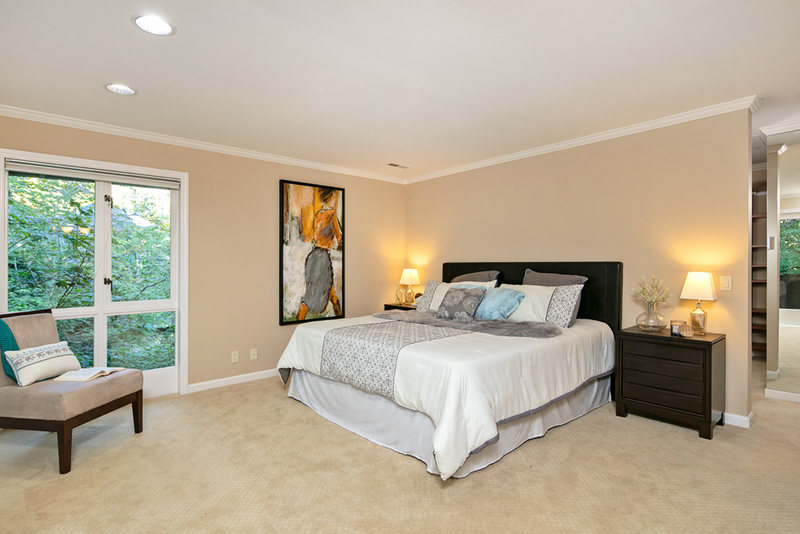 Upstairs has the ideal layout with all 4 bedrooms and 2 bathrooms on the same level. 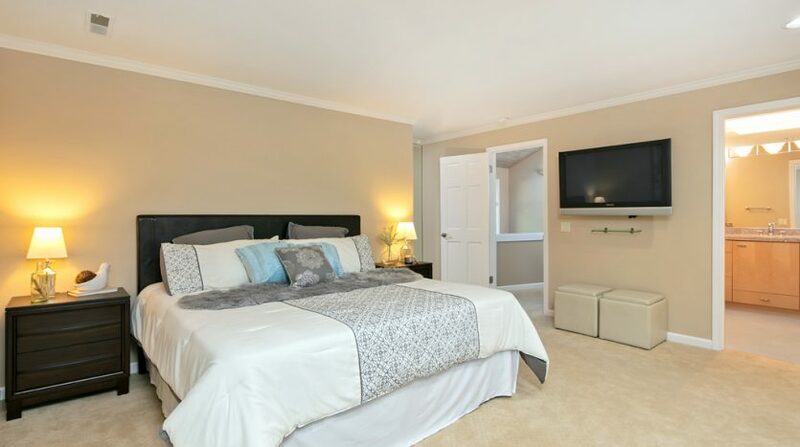 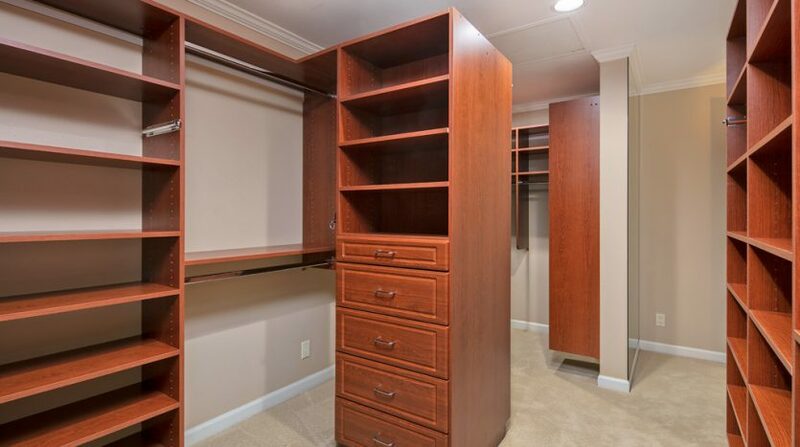 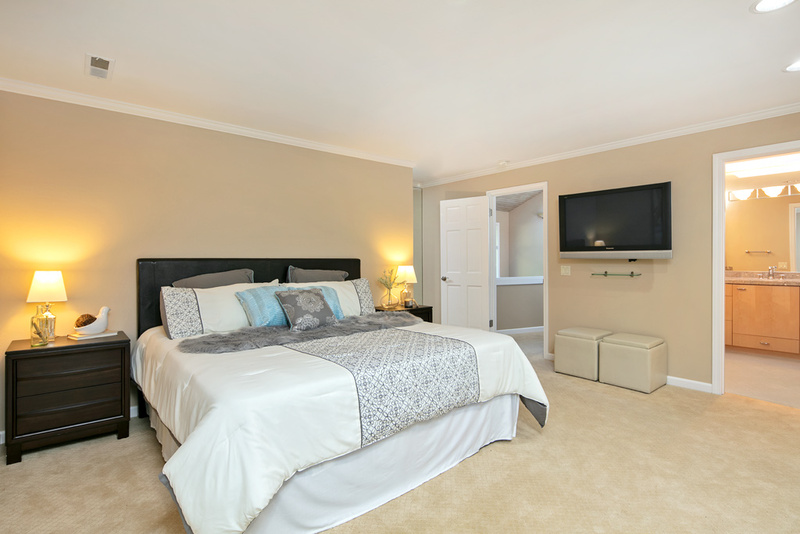 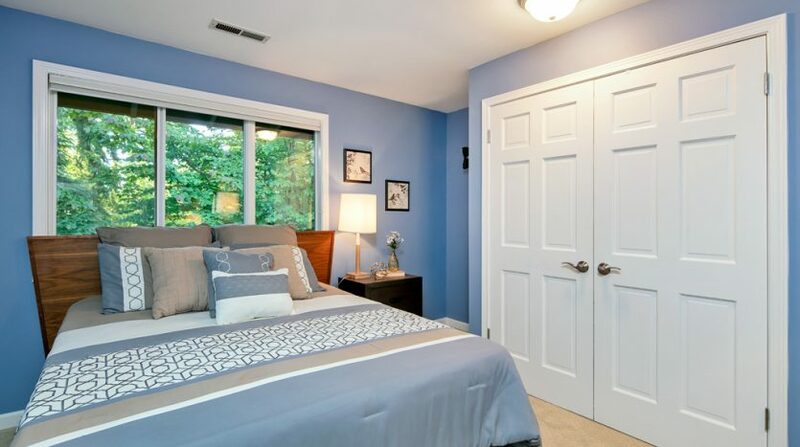 A generously sized master suite has what can only be described as a massive and superbly outfitted walk-in closet. 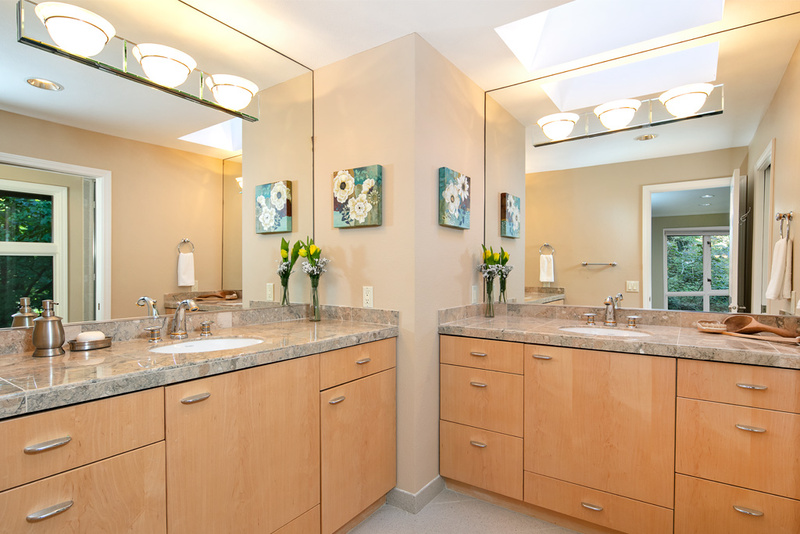 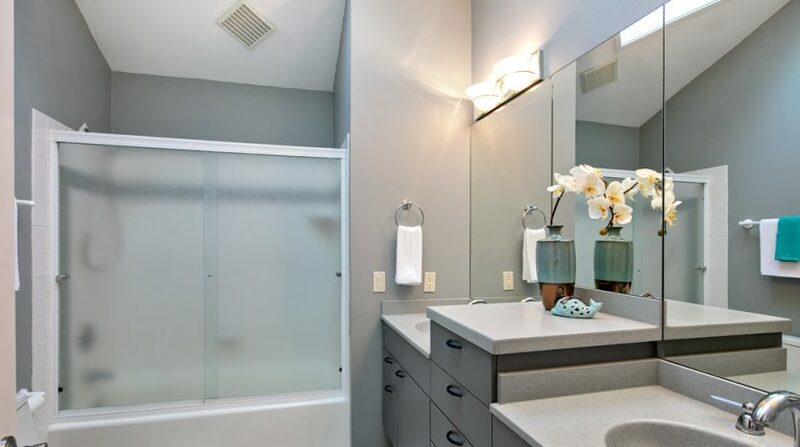 The en-suite bath has two vanities and spa-like finishes. 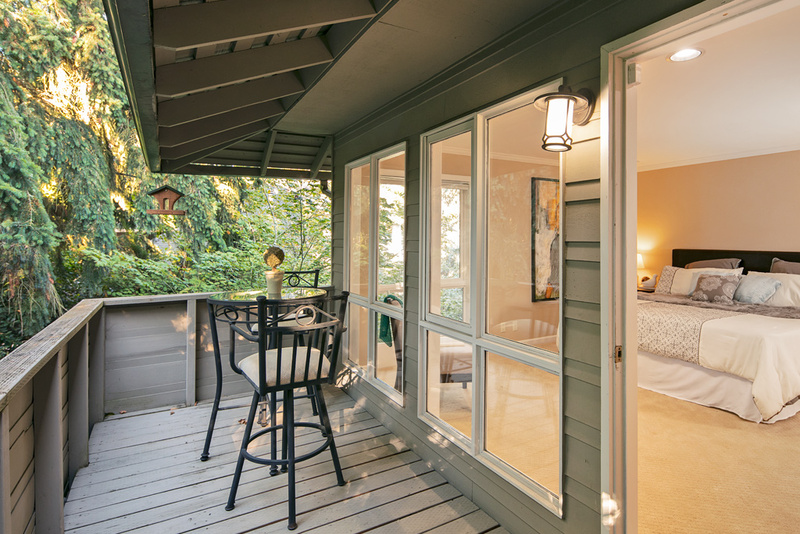 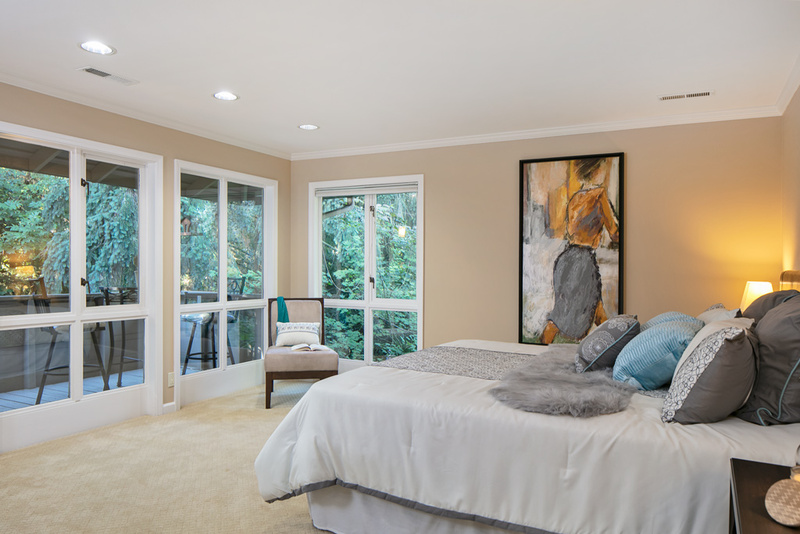 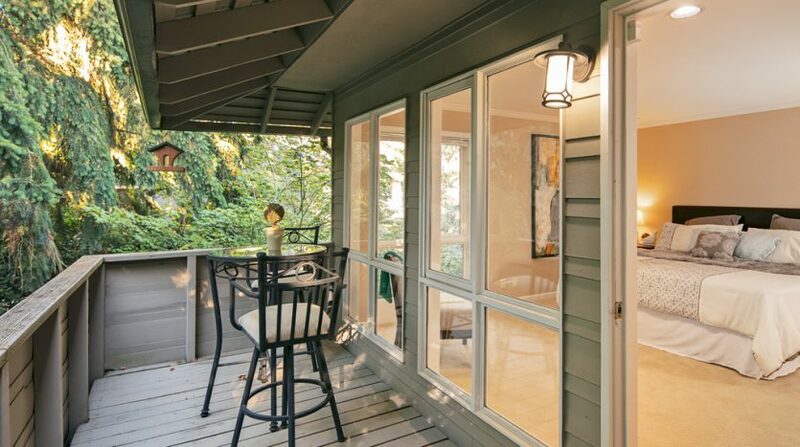 All four bedrooms have leafy outlooks into the trees and the master suite has a deck that feels a lot like a treehouse. 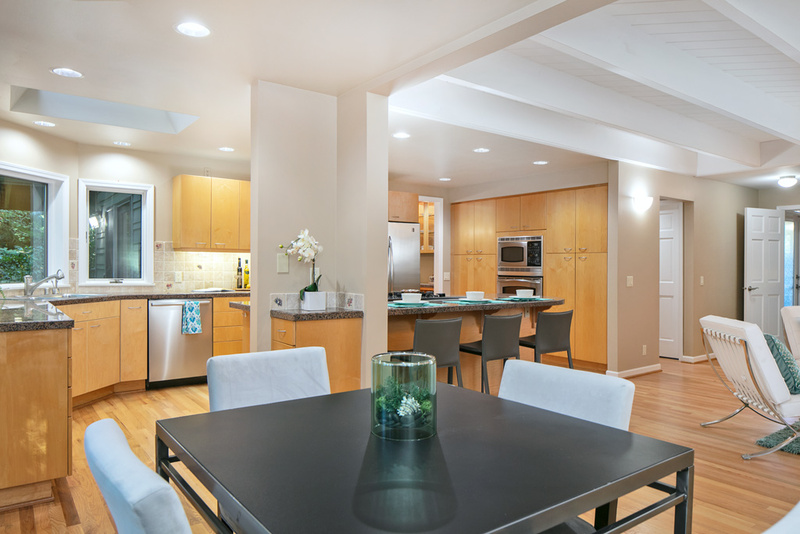 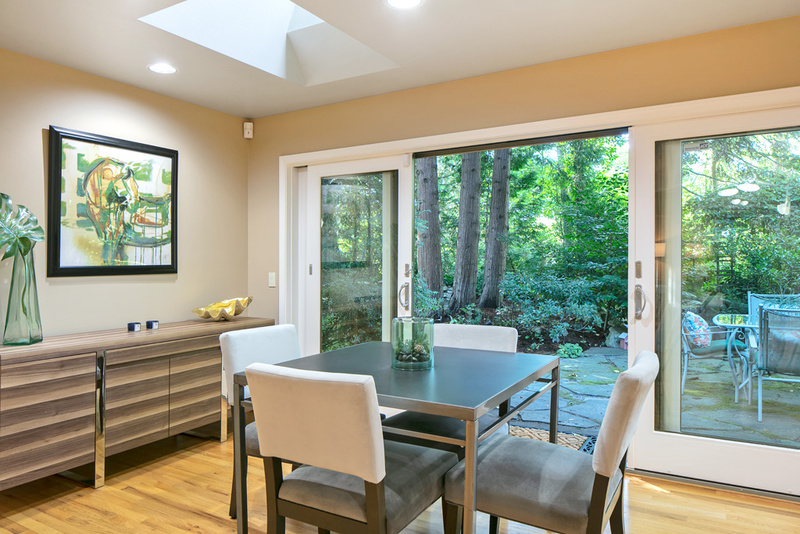 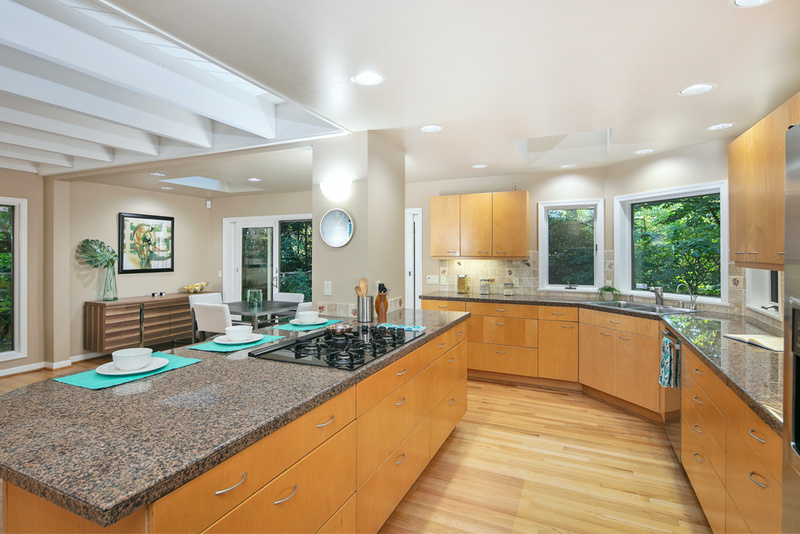 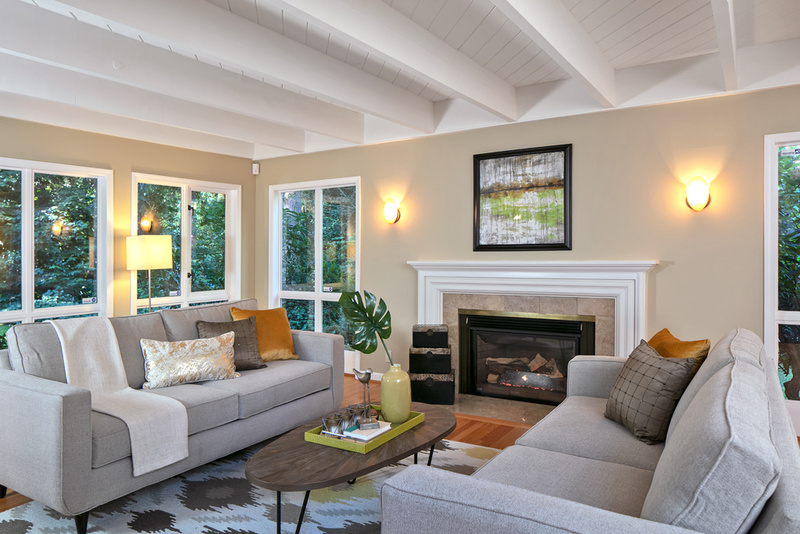 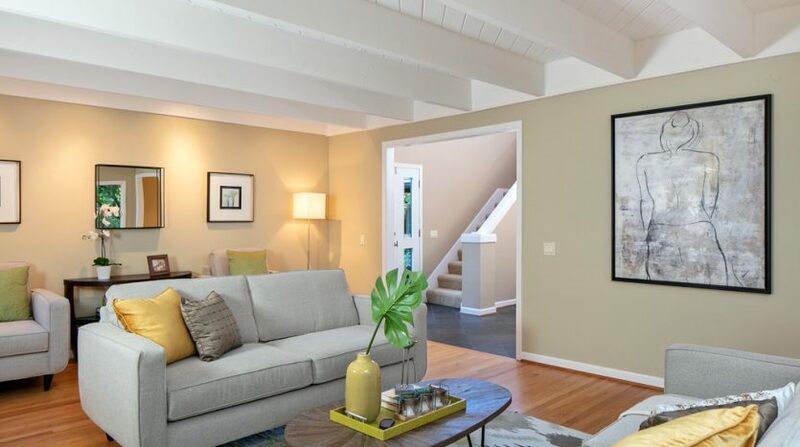 Vaulted ceilings, clerestory windows and skylights add to the voluminous feel of the upper level. 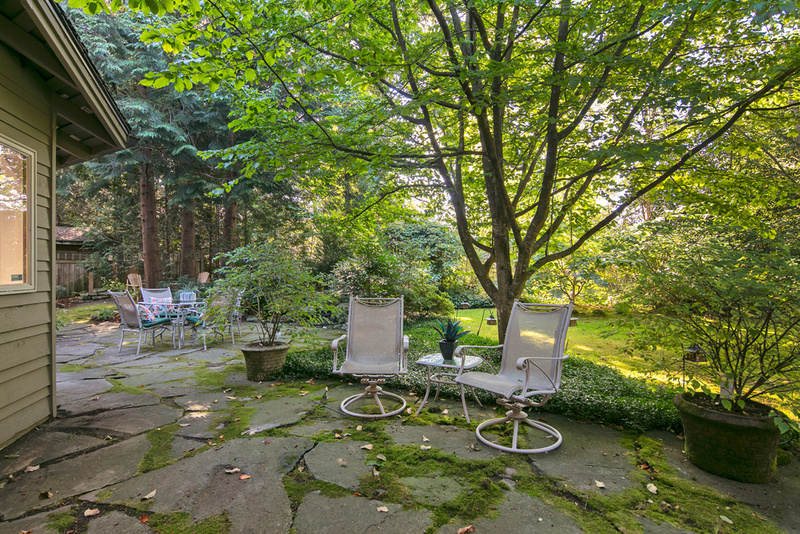 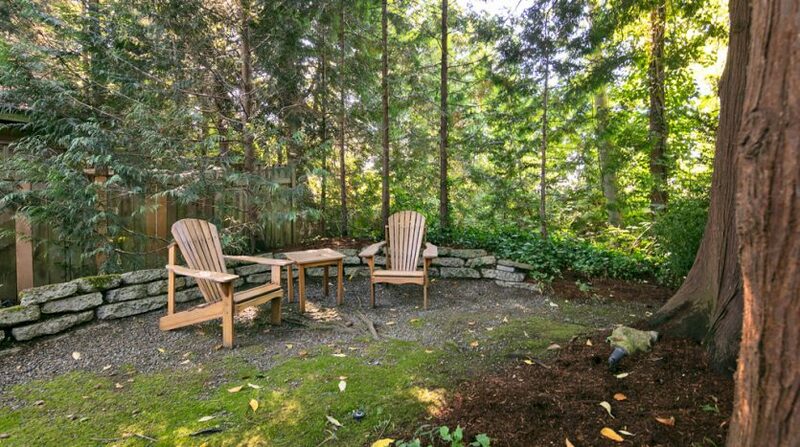 The outdoor space is truly magical, lending to the privacy and tranquility of this home and creating a true sanctuary. 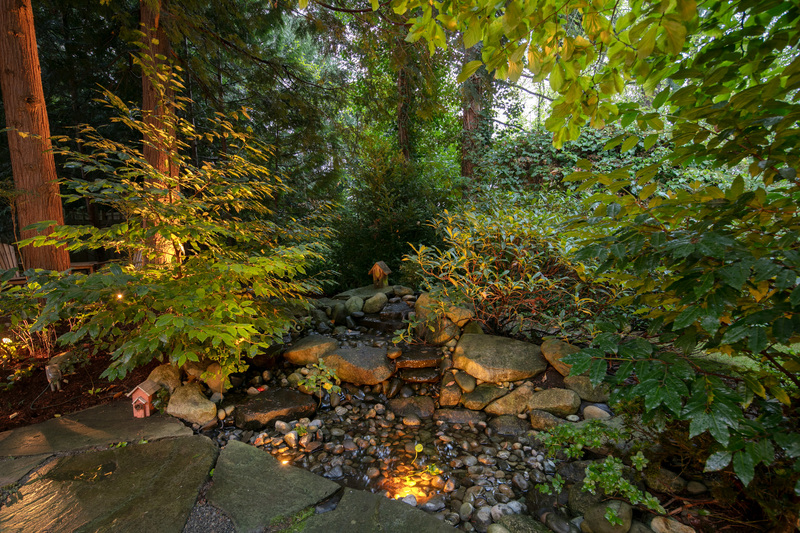 Several custom water features provide sounds of relaxation. 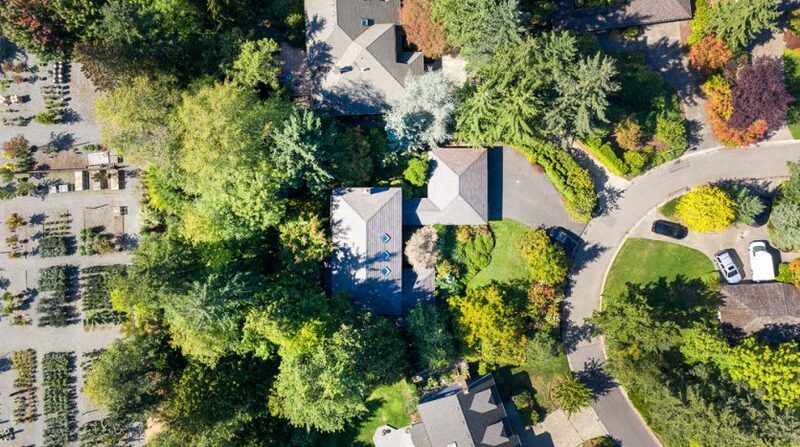 Abundant clustered plantings and tall old growth leafy and evergreen trees filter the sun and buffer you from the surrounding homes. 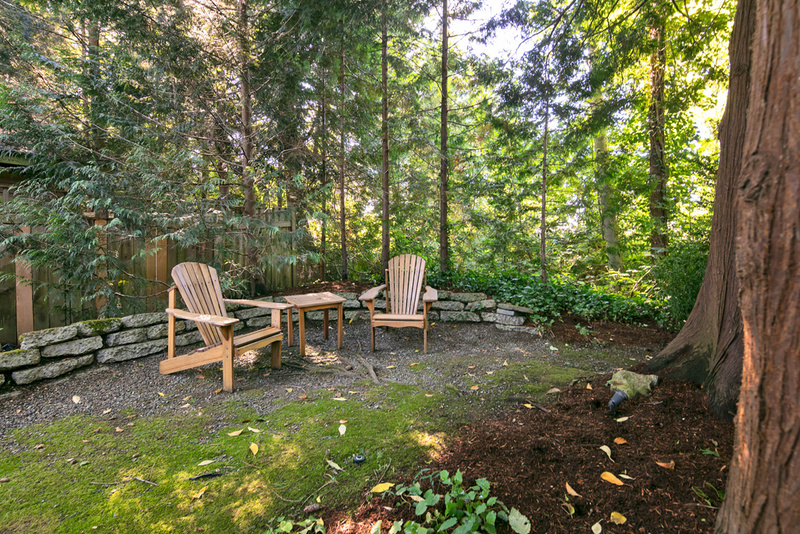 The stone patio spaces are set amongst the verdant landscaping and look out over the grassy area. 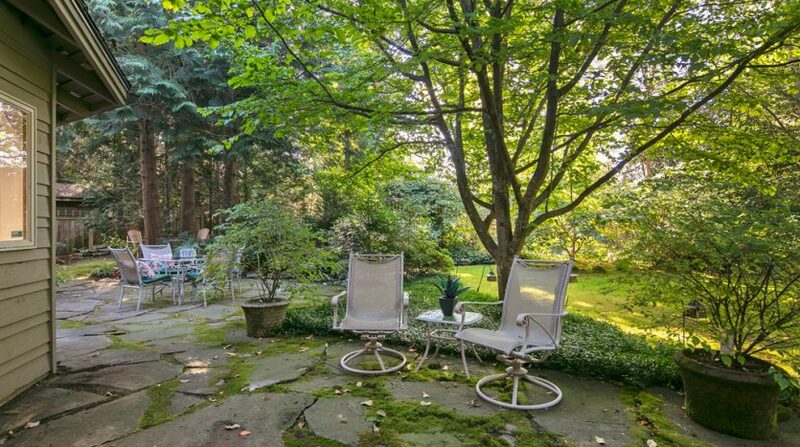 Raised beds for gardening are a nice addition to this incredibly serene outdoor space that is nothing short of enchanting. 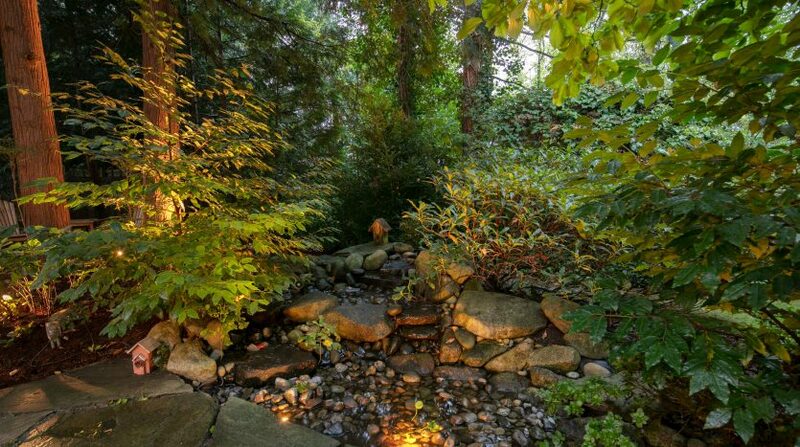 With a sprinkler and drip watering system, this garden will water itself. 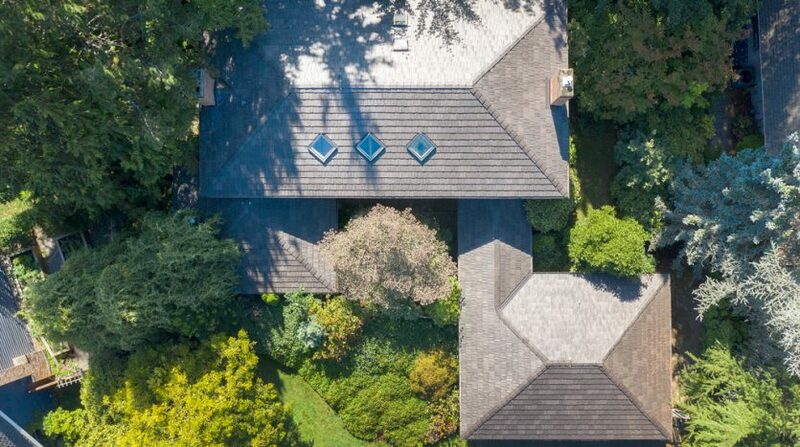 Moreover, a recently completed DeVinci roof was installed and has a lifetime warranty. 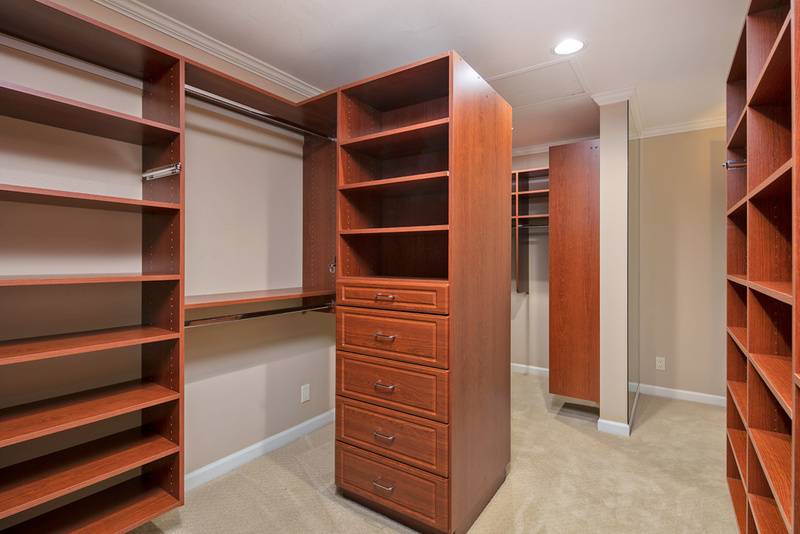 The two-car garage will house all your wheeled toys. 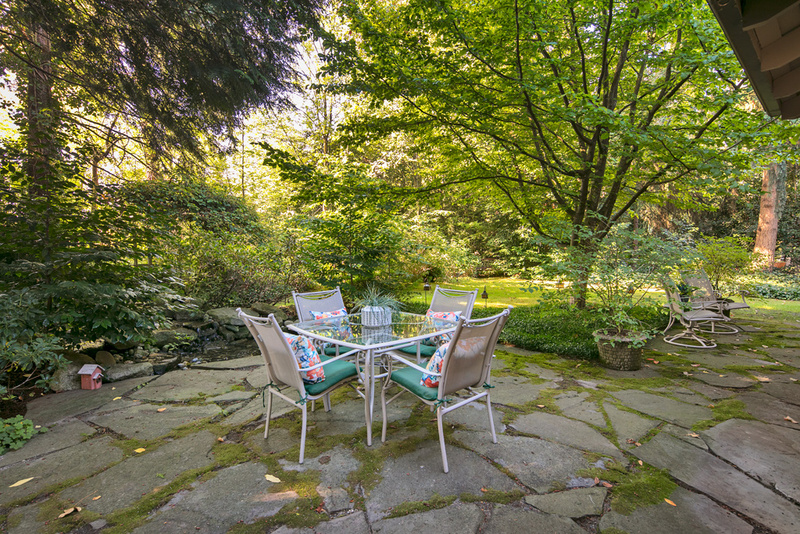 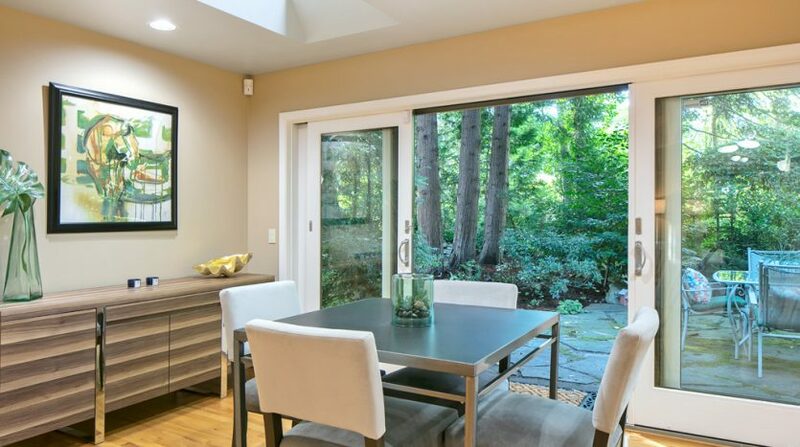 Privacy and proximity, welcome to Medina Circle.